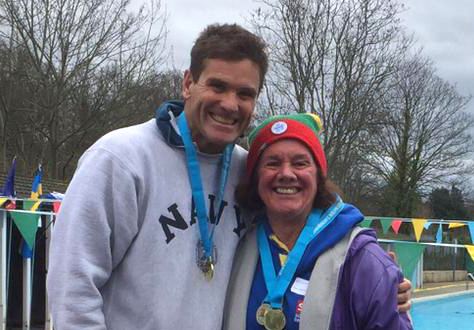 Our Head of Swimming and Waterpolo, Mrs Ellery McGowan, returned from the UK Cold Water Championships having won three gold medals from three different races: 90m Freestyle, 30m Butterfly and 30m Freestyle in a ten-year age band. The competition held last Saturday 26 January 2018 at Tooting Bec, involved approximately 800 swimmers from 24 countries in 3°C water. A fantastic achievement, well done Ellery!